The event is to be hosted by Sky News and Sky Sports presenter Sarah-Jane Mee and will take place at the Century Club on London’s Shaftesbury Avenue. 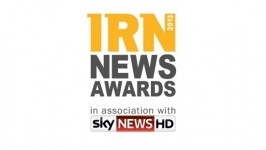 Managing Director, Tim Molloy, said: “The IRNawards have become the place for commercial radio news teams to showcase their finest journalism. We have also added a new Rising Star category for student journalists keen to make their mark on the industry. The judging panel includes Sky News presenter Kay Burley, the BBC’s Jon Sopel, Coronation Street actress Michelle Collins, former England international footballer Danny Mills and talent manager Andy Hipkiss. A Gold Award which recognises outstanding contribution to the commercial radio industry will also be presented on the night.